Looking "where to sell my Triumph TR2?" Ask the Chicago Car Club! Are you wondering "where to sell my Triumph TR2 ?" The Chicago Car Club is interested in classic cars of all makes and models, especially a Triumph TR2. 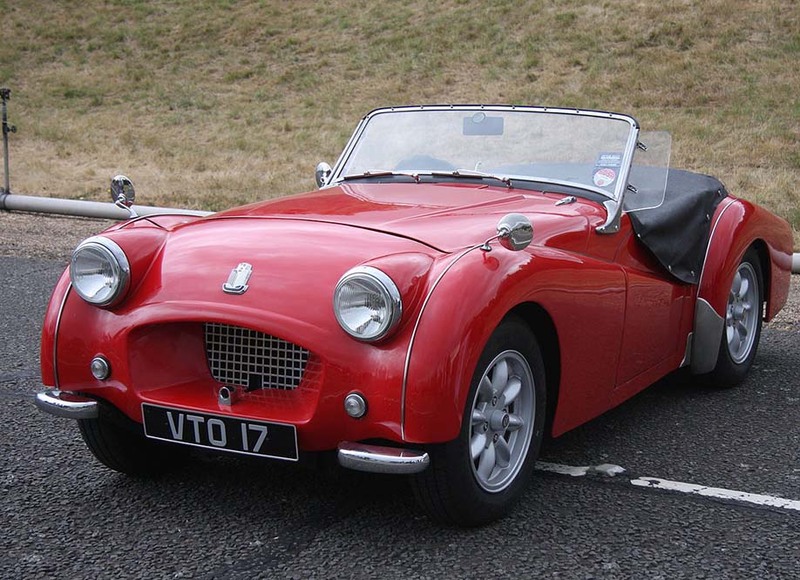 We make the process of selling your Triumph TR2 quick and painless. In just a matter of hours we will have your classic valued and, if you do so choose, turned into money in your pocket. All it takes is a phone call or electronic inquiry to get the ball rolling. The Triumph TR2 was introduced back in the year 1953 with an aim of capturing the mushrooming sports car market in the United States. Between September 1955 and August 1953, a total of 8,636 models were built. The high success rate by the Standard Motor Company was as a result of the model’s high performance and affordability. Over the next ten years since its introduction, TR2 was very successful. This model was widely known as the “car that started it all.” On top of its performance and affordability, TR2 also had very good looks that appealed to many people. TR2 is generally known as a two-seat sports car that revolutionized the industry. It also created better comfort than its competitors and had a very sound weather protection. Technically, the model had a twin H4 type SU carburetor version and a 4-cylinder standard vanguard engine (1991 cc) that increased the output to 67 kW. The body of the TR2 was mounted on and independent chassis that had coil-sprung separate suspension at the front and a leaf spring live axle at the rear. The model could either use wire or disc wheels. It also has a standard transmission with a four-speed manual unit and Lockheed drum brakes were fitted all around the car. The car had a top speed of 107.3mph which was quite an achievement back then and could also accelerate from 0-60 mph in twelve seconds. The consumption was also attractive with 34.5 miles per gallon. Advancement to the car were made over the years and this saw the car being a favorite of the people. On top of this, TR2 was very successful in many races both locally and globally.